Chevrolet Express G3500 EXTENDED 15-Passenger Van Fully Loaded 1-Ton LOW MILES! 2017 Chevy Express G3500 EXTENDED 15-Passenger Van, ONLY 41,000 LOW MILES! Fully Loaded! 2017 Year Model! Extended 1-Ton Model, Cloth Seats & Carpet Flooring, Fully Equipped, Power Windows, Power Door Locks, Tilt Wheel, Cruise Control, Front & Rear Air Conditioning, AM/FM Stereo, Dual Air Bags, Chevrolet G-3500 Wagon! Privacy Glass, LOW LOW MILES! 41,000 MILES! Great Power & Hauling Ability! Automatic Transmission, Great for Cargo, Transport, Shuttle Bus, Church, Non-Profit or Music Tour Band, Can Easily Convert to Cargo Application! V8 6.0L Gas Engine, and much more. Give us a call at 951 735-6269 or toll free at 1-877-826-7253. Ford Transit Connect Cargo Van Reefer Unit Thermo King Great Delivery Van! 2013 Ford Transit Connect Reefer Cargo Van, Reefer Unit, Thermo King V-200, Refrigeration Unit, Fleet Owned & Maintained, Fully Loaded, Power Windows, Power Door Locks, Air Conditioning, ***MINOR EXTERIOR BLEMISHES*** Great Fuel Savings, Economical Minivan, Dual Air Bags, Tilt Wheel, Power Mirrors, Enclosed Cargo Mini-Van, Ready For Work, Commercial Work Truck! V4 2.0L Gas Engine, Power Steering, and much more. Give us a call at 951 735-6269 or toll free at 1-877-826-7253. Dodge Caravan SE Minivan 7 Passengers Fully Loaded 1 Owner Low Miles! Ford Econoline E350 EXTENDED 15-Passenger XLT Van RARE BLACK COLOR! Loaded 61,000 MILES! Chevrolet Colorado Pickup Truck Extended Cab 4x4 1 Owner Nice Truck! 2008 Chevrolet Colorado Pickup Truck Extended Cab, 4x4! 4 WHEEL DRIVE! HARD TO FIND! 1 Owner Nice Truck! Extended Cab, Nice Truck, Government Owned & Fleet Maintained, Nice 4x4 Colorado Pickup Truck! Utility Work Truck, Vinyl Seats & Vinyl Flooring for Easy Clean-Up, Dual Air Bags, Air Conditioning, AM/FM Radio, Privacy Glass, Colorado Extended Cab, Great Service Truck, Automatic, Dual Air Bags, Government Owned & Fleet Maintained, Dependable V5 3.7L Gas Engine, Power Steering, and much more. Give us a call at 951 735-6269 or toll free at 1-877-826-7253. Ford Econoline E450 Shuttle Bus 15 Passengers 1 Owner Wheelchair Lift 2008 Model! Ford F-550 Super Duty Box Truck Diesel Lift Gate 1 Owner LOW MILES! 2006 Ford F150 Regular Cab Pickup Truck, 1 Owner Government Owned & Fleet Maintained, ***NEWLY REBUILT TRANSMISSION. VARIOUS EXTERIOR BLEMISHES & DENTS*** 8' Long Bed, Tow Package, 1/2 Ton Model, Tool Box, Utility Work Truck, Cloth Seats & Vinyl Flooring for Easy Clean-Up, Dual Air Bags, Air Conditioning, AM/FM Radio, Privacy Glass, Tilt Wheel, F-150 Single Cab, Tow Pkg., Great Service Truck, Automatic, Dual Air Bags, Government Owned & Fleet Maintained, Dependable V8 4.6L Gas Engine, Power Steering, and much more. Give us a call at 951 735-6269 or toll free at 1-877-826-7253. Ford Econoline E450 Ambulance Fully Loaded Dually Diesel LOW MILES! Ford Econoline E450 Shuttle Bus Dually 22 Passengers 1 Owner LOW MILES! Ford E350 12-Passenger Handicap Lift Shuttle Bus Starcraft Conversion Loaded ONLY 37,000 MILES! Ford Econoline E-450 Shuttle Bus Wheelchair Ramp Dually 1 Owner Nice Bus! GMC Safari Passenger Van 7 Passengers AWD All Wheel Drive Fully Loaded RARE VAN! LOW MILES! Chevrolet Blazer SUV 7 Passenger Fully Loaded 1 Owner Nice SUV LOW MILES! (COMING SOON) 2003 Chevrolet Blazer SUV 7 Passenger, Fully Loaded, 1 Owner, Nice SUV LOW MILES! Low Miles! 1 Owner Government Owned & Fleet Maintained, Fully Loaded, V-6 6-Cylinder, Great MPG,Power Windows, Power Door Locks, Tilt Wheel, Power Mirrors, Dual Air Bags, Cloth Seats & Carpet Flooring, Fully Loaded, 1 Owner, Government Owned & Fleet Maintained, Great Family Mini-Van, Automatic Transmission, Air Conditioning, Privacy Glass, AM/Fm Radio, Can Easily Convert to Cargo Utility, 4.3L V6 Gas Engine, Power Steering, and much more. Give us a call at 951 735-6269 or toll free at 1-877-826-7253. Ford F150 Pickup Truck Extended Cab 1 Owner Nice Truck LOW MILES! 2003 Ford F150 Pickup Truck Extended Cab, 1 Owner, Nice Truck, LOW MILES! 1 Owner Government Owned & Fleet Maintained, Tow Package, 1/2 Ton Model, Tool Box, Utility Work Truck, Vinyl Seats & Vinyl Flooring for Easy Clean-Up, Dual Air Bags, Air Conditioning, AM/FM Radio, Privacy Glass, Tilt Wheel, F-150 Extended Cab, Tow Pkg., Great Service Truck, Automatic, Dual Air Bags, Government Owned & Fleet Maintained, Dependable V8 5.4L Gas Engine, Power Steering, and much more. Give us a call at 951 735-6269 or toll free at 1-877-826-7253. Chevrolet Express Van G3500 Extended 12 Passengers Fully Loaded LOW MILES! Ford Econoline E150 Van Club Wagon 8 Passengers 1 Owner Nice Van LOW MILES! Chevrolet Express G3500 EXTENDED 15-Passenger Van 1 Owner Government Loaded LOW MILES! 2003 Chevy Express G3500 EXTENDED 15-Passenger Van, ONLY 69,000 LOW MILES! 1 Owner Government Owned & Fleet Maintained, Rare Charcoal Grey Color! Fully Loaded, Tow Package, Great Hauling & Towing Capability! Extended 1-Ton Model, LOW LOW MILES! ONLY 69,000 MILES! Power Windows, Power Door Locks, Tilt Wheel, Cruise Control, Cloth Seats & Carpet Flooring, Privacy Glass, Tow Pkg., Government Owned & Fleet Maintained, Front & Rear Air Conditioning, Dual Air Bags, Privacy Glass, Tilt Wheel, Government Owned & Fleet Maintained, Automatic Transmission, Great for Cargo, Transport, Shuttle Bus! V8 6.0L Gas Engine, and much more. Give us a call at 951 735-6269 or toll free at 1-877-826-7253. Ford Econoline E450 Shuttle Bus Dually 10 Passengers 1 Owner 16K LOW MILES! WOW! GMC Sonoma Pickup Truck 1 Owner Nice Work Truck 2002 Model! (COMING SOON) 2002 GMC Sonoma Pickup Truck, 1 Owner, Nice Work Truck, 2002 Model! 1 Owner Government Owned & Fleet Maintained, Sonoma Pickup Truck, Automatic Transmission, ***MINOR EXTERIOR BLEMISHES*** Cloth Seats & Vinyl Flooring for Easy Clean-Up, Air Conditioning, Air Conditioning, AM/FM Radio, Work Truck! Ready For Work, Great for Contractor, Commercial Landscape, Construction, Mechanic, Electrician, HVAC! V4 2.2L Gas Engine, and more. Give us a call at 951 735-6269 or toll free at 1-877-826-7253. Chrysler Town & Country LXi Minivan Handicap Wheelchair Ramp VMI Conversion Fully Loaded LOW MILES! Ford Econoline E350 8-Passenger Van 1 Owner Government 1-Ton LOW MILES! Chevrolet Express Van G3500 Extended 15 Passengers Fully Loaded LOW MILES! (((COMING SOON))) 2000 Chevrolet Express Van G3500 Extended Van, Fully Loaded, LOW MILES! 1 Owner Government Owned & Fleet Maintained, 15-Passenger Capacity but arranged as 8-Passenger Seating with Rear Cargo Space, Fully Loaded, Power Windows, Power Door Locks, Tilt Wheel, Cruise Control, Extended 1-Ton Model, Cloth Seats & Carpet Flooring For Easy Clean-Up, Front & Rear Air Conditioning, AM/FM Stereo, Privacy Glass, Government Owned & Fleet Maintained, Automatic Transmission, Dual Air Bags, Great Hauling & Towing Capability! Great for Cargo, Transport, Shuttle Bus, Church, Non-Profit or Music Tour Band, Can Easily Convert to Cargo Application! V8 7.4L Gas Engine, and much more. Give us a call at 951 735-6269 or toll free at 1-877-826-7253. Chevrolet Express G2500 Cargo Van LIFTGATE! 1 Owner Government ONLY 65,000 MILES! Ford Econoline E350 Van Super Duty 12 Passengers 1 Owner LOW MILES! 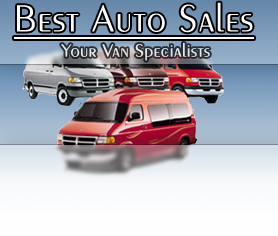 Ford Econoline E350 EXTENDED Passenger XLT Van 1 Owner Government V10 6.8L RED COLOR! Dodge Ram Van B3500 Extended Cargo Van 1 Owner Nice Van LOW MILES! Chevrolet G30 Box Van Dually Cargo Box Van Lift Gate 1 Owner Nice Van LOW MILES!